What is an ideal event venue look like in Budapest? Are you thinking about to organize a special event? Let's say a wedding ceremony, a birthday party or a team building party? Or would you like to fascinate your clients with a unique event venue? With a moving one for example on the river Danube? Then you are at the right place, as we are happy to manage your event in a very special atmosphere, on a private boat or on the board of an event and cruise ship down along the river Danube. Those who have already organized any kinds of events, whether a class reunion, a team building party or a birthday party, exactly know how important a good venue is to be chosen for the given ceremony, as the appropriate venue means half success. This is one of the most important things which needs to be decided at the beginning of the organization process, since once the place of the event is found, then the rest to be organized is almost given, especially if the chosen spot is an event -or a cruise ship. 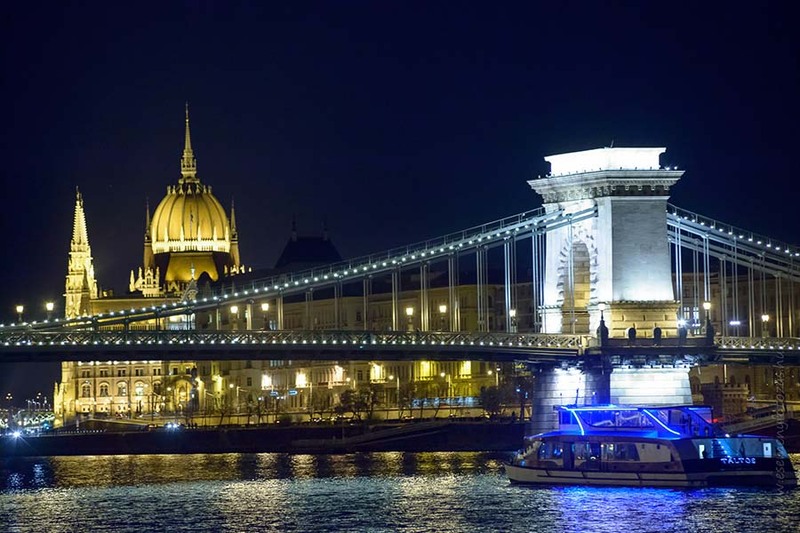 So, let us invite you to have a look and we are pretty sure you are going to fell in love with any of our private boats, event or Danube river cruise ships as your place for your event. Choosing the right spot for our event is highly depended on the type of our event and on its length. Once you have decided that the perfect solution is going to be a boat or ship rental, then you will need to examine the number of your guests. Boats, event and cruise ships as venue can operate only with an authorized number of people on board, so if you would like to add more guests to your event during the organization process, you will need to have a bigger boat or ship. However, in return for this inconvenience, you will have an amazing background to your event as cruising on the river Danube offers you more than a monotonous and boring view, - what a typical meeting room or a separate room of a restaurant can offer. It simply highlights your event with the spectacular atmosphere and fascinated buildings along the riverbanks. That is why we highly recommend event and cruise ship to be rent as place of the venue for those who want to fascinate their guests with this unique experience; cruising on the river Danube is exclusive and romantic, it has a beautiful view around, it is silent as ships are far from the noise of Budapest, and needless to say it is very private, only you and your guests are around. 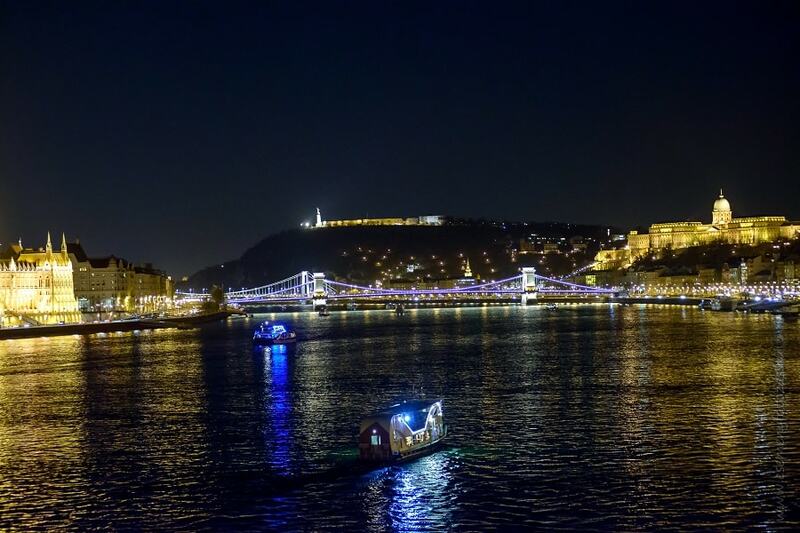 Private boat rentals can be ideal if you are looking for a spot for a team building party in Budapest as well. Renting a boat and organizing an event for your clients or co-workers on board is the perfect choice to celebrate together a project success, a milestone or a successful trial. A party boat night out is an unforgettable way to spend the night together either it is a corporate or a family gathering. In the aspect of event venues, private boat- or event and cruise ship rentals are emerged from the simple meeting room rentals due to their prestige value, so they are able to give more and raise the standard of the event. The docks are usually well accessible, there is even a parking lot near one of our docks, under the Elisabeth Bridge, but docks are easy to reach by public transport – the famous tram number 2 passes by, via its windows you can spot the famous sights of Budapest as well. Try and test our event venues! If you are interested in any kinds of our boats, motorboats or event and cruise ships, come and try one of our programs connected to your selected spot so that you are convinced that we are going to be the best choice for your event to be organized. You can test the boat and ship itself, and also decide how you like the venue which is moving, how flexible we are and how you like our team. In the end, should you like our service and you choose us, the price of both the dinner and the sightseeing tour is going to be deducted from your due ship rental. For this service kindly ask to keep your receipt from your test trip. Our event and cruise ships are always come with a captain and crew on board. They are equipped both with closed and open-air terraces in order to hide or rather enjoy the outside weather. We are happy to serve you extra wishes as such catering or sound system, wedding catering service is also available. Should you are interested in any of them; kindly ask to get in touch with us. Hope to see you amongst our customers very soon! Cruise with us on the river Danube.